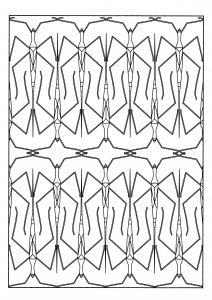 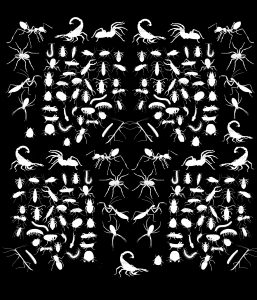 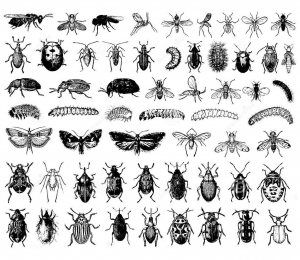 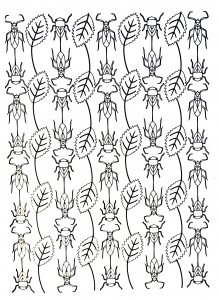 Here are Complex Coloring pages for adults of insects. 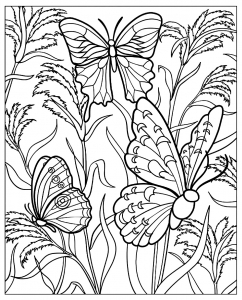 These little animals are just waiting for a few colors to come to life, so take your pens & pencils ! 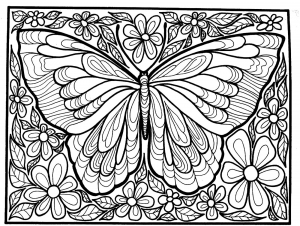 Coloring picture of a big butterfly with flowers around, occupying all the space available ... 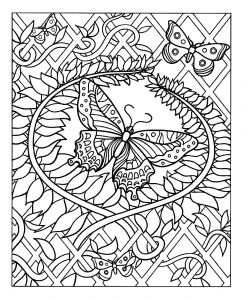 It will take time to color all that! 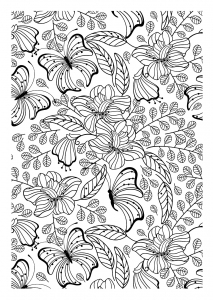 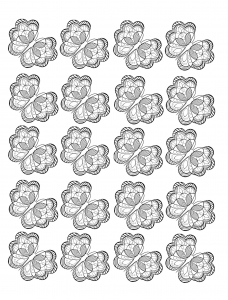 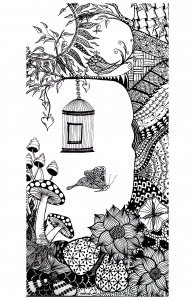 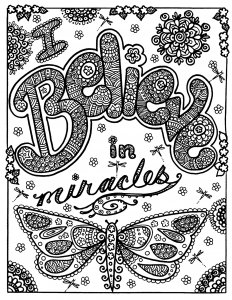 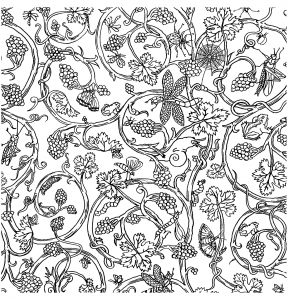 Adult coloring page composed of a repeated patterns of a pretty butterfly in black and white with very small wings, rich of details and of areas to color. 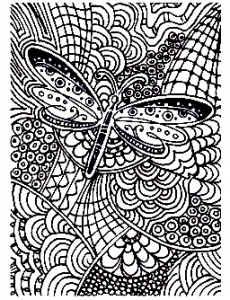 Adult coloring page of a beautiful butterfly, decorated with many eye-pleasing plant patterns ... much details to color !